Happy Star Wars Day! May 4 is known the world over as the day that the entire universe celebrates “Star Wars”! The series has received a huge boost in popularity since the Walt Disney Company purchased Lucasfilm a few years ago. Since then, fans have gotten a new sequel trilogy, and will be getting a new film every year telling different stories. 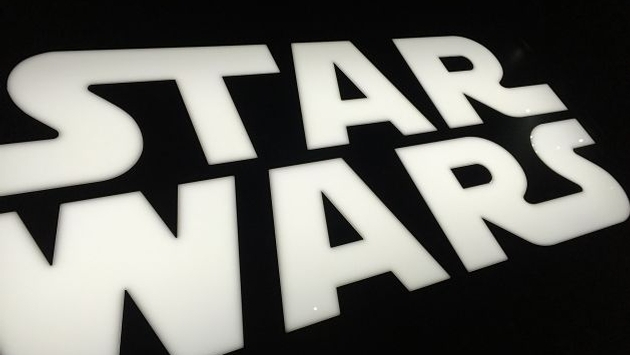 More importantly, “Star Wars” is coming to life in huge ways. Soon, you’ll be able to walk through entire lands based on the “Star Wars” properties, eat food inspired by the film series, and even shop and interact with creatures from far off marketplaces. It’s not soon enough. While construction has started on the new “Star Wars” lands, it’s still a few years off. Never fear, my young apprentice — there are several ways that you can live “Star Wars” right now! 5. Star Wars Launch Bay- Late in 2015, Disney opened up the Star Wars Launch Bay at both Disneyland in California, and Disney’s Hollywood Studios at Walt Disney World in Florida. 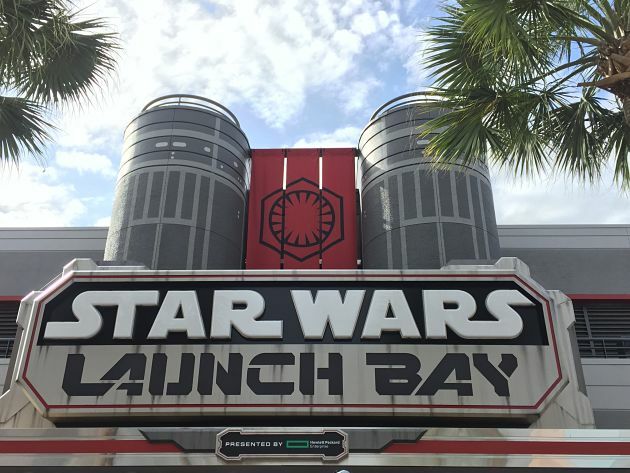 Launch Bay takes guests into the world of “Star Wars” with a look at the films, props and even character interactions. You can bump into a Stormtrooper, or even trade with the curious Jawas. There are actual props from the movies, costumes and you can even freeze yourself in carbonite with a special D-Tech figure. 4. Captain Phasma Marches on Hollywood Studios- The chromed Captain Phasma makes hourly appearances at Disney’s Hollywood Studios, leading a battalion of First Order Stormtroopers through the Park, and up to the front stage. It doesn’t sound like much, but when you hear the music, and see the coolest looking Stormtrooper leading the others, it will send geeky shivers down your spine! 3. 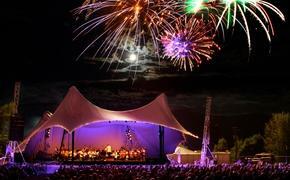 Symphony in the Sky Fireworks- This one is only going to be around for a little while longer. Amazing Disney Fireworks are blast into the sky, all while set to the amazing “Star Wars” soundtrack. It’s awe-inspiring, it’s Disney fireworks at their finest, and it’s only around for just a few more short weeks. They will be replaced by a huge nighttime finale that includes not only fireworks, and the music of “Star Wars,” but it will also use digital mapping to turn the park into one giant space battle! 2. Hyperspace Mountain- The overlay of Space Mountain is only available at Disneyland in California, but it is really cool! You can battle against tie-fighters, on the classic Disney roller coaster! The ride is set to “Star Wars” music, and makes for a great addition to a classic ride! 1. Star Tours- This classic attraction was overhauled at both Disneyland and Walt Disney World a few years back. With the release of “The Force Awakens,” a new scene was added, which will take guests to Jakku. From there, they will see the Millennium Falcon in action, interact with Fin, and save the rebel spy from falling into the hands of the Dark Side! 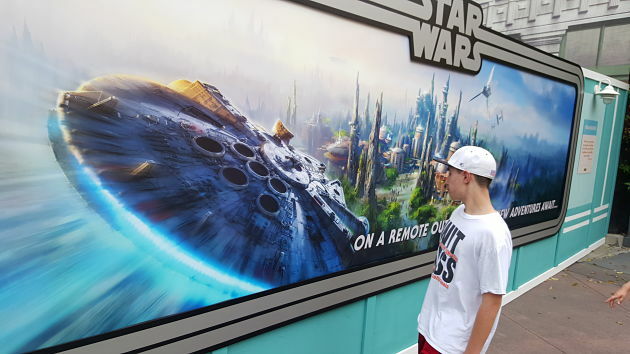 There are so many ways that Disney is bringing “Star Wars” to life at the parks, that it makes them a must for any fan of the franchise. While what is at the parks is simply amazing now, we can’t wait to find out what the next few years will have in store as “Star Wars" land gets closer to being a reality.